Samsung Galaxy A8 2016 Now Official, Equipped With A 16 MP Main Camera! Home / mobile / news / samsung / Samsung Galaxy A8 2016 Now Official, Equipped With A 16 MP Main Camera! After its leak last month, Samsung's new Galaxy A8 2016 is now official in Korea, a big screened handset with beautiful designed and capable midrange grade specs. Samsung Galaxy A8 2016 now official! The Samsung Galaxy A8 2016 sports a 5.7 inch FHD Super AMOLED screen with a resolution of 368 ppi. Under the hood, powering this looker is a 2.1 GHz 64 Bit Exynos 7420 octa core processor paired with the still powerful Mali T760 GPU. Then this device has 3 GB RAM, either 32 or 64 GB internal storage, and a non-removable 3,300 mAh battery. On the camera part, there's a 16 MP main camera w/ AF and LED flash. In front, an 8 MP selfie camera w/ up to 1080p recording availability is present. Both cameras is equipped with an f/1.9 aperture lens. The rest of the specs includes WiFi, LTE, Bluetooth 4.2, fingerprint sensor, GPS, A GPS, GLONASS, and Android 6.0 Marshmallow OS. 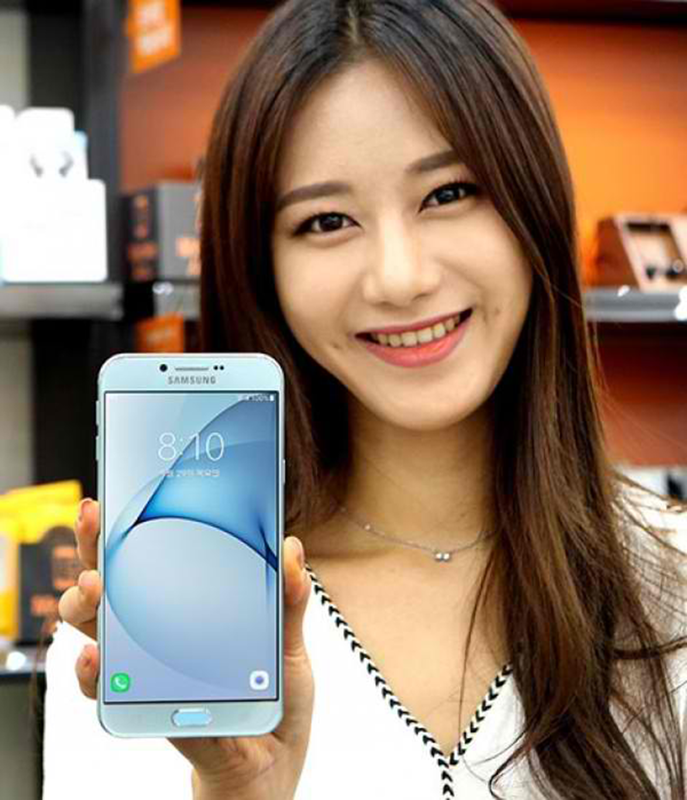 In Korea, the Samsung Galaxy A8 2016 carries a price tag of KRW 649,000 which is roughly around PHP 28.1K.